Prime Minister Shinzo Abe has made a major bid to reverse decades of falling prices in Japan. The Japanese economy suddenly looks weaker after the government revised its data for the third quarter. Gross domestic product -- the broadest measure of economic activity -- expanded by only 1.1% over the previous year, a slower rate than the initial annualized 1.9% estimate reported in November. The sharp deceleration raises questions about the strength of recovery in Japan, which enjoyed rapid growth of almost 4% in the second quarter. Prime Minister Shinzo Abe has been working to jolt the world's third largest economy out of stagnation. His ambitious turnaround plan, known as Abenomics, aims to end years of deflation, leading to more robust growth. Abe has increased government spending and installed a central banker who is not afraid to use aggressive monetary policy. Abe has even raised Japan's sales tax in a nod to budget discipline. Perhaps the biggest single factor in Japan's change of direction has been led by the country's central bank, led by Haruhiko Kuroda. Once reluctant to engage in unconventional monetary policy, the Bank of Japan has embraced Abe's vision, launching a massive bond-buying program. Markets have responded in a dramatic way, with the Nikkei index of leading shares adding around 60% in the past year. The yen has fallen 20% against the dollar over the same period. A falling currency lowers the price of a country's exports, making them more attractive to international buyers by undercutting competitors, and some of Japan's flagship brands are already reaping the rewards. Still, it is too early to call Abenomics a complete success. Wages have not gone up by much, and promised structural reforms have been difficult to implement. In a bid to secure the recovery, Abe's government last week said it would boost spending by about $53.5 billion. The stimulus package is meant to neutralize the impact of a tax hike aimed at slowing the growth of debt. Some 5.5 trillion yen will be used to promote reconstruction work in areas worst affected by the March 2011 earthquake and tsunami. 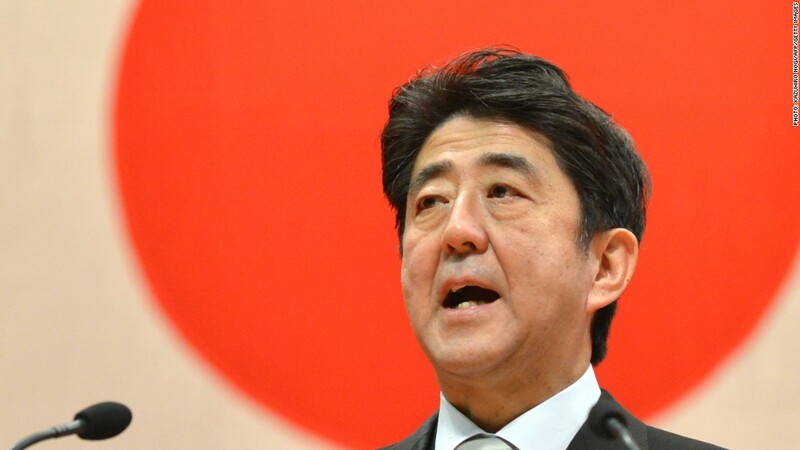 Abe hopes the measures will add about 1% to GDP and create 250,000 jobs. Abe's government has also proposed measures that would make the labor market more flexible, encourage immigration, bring nuclear power plants back online and draw more Japanese women into the workforce. But progress has been painfully slow.